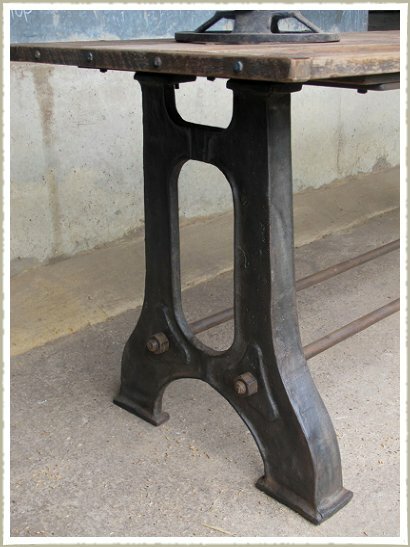 Cast iron base table made with a vintage pine top. 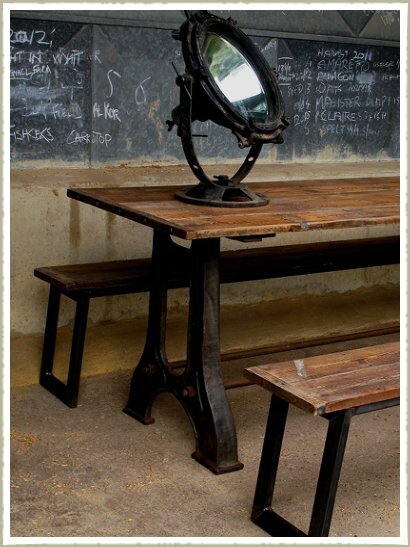 This stunning and sturdy table is one of our most popular industrial style pieces. 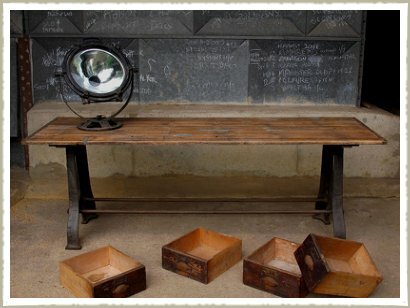 Benches can be made to match.